What’s up, everyone! It’s been a solid three months since my last post but I’m back! I took a little break from photography and is now back with some new “bangers” as the young folks call it. 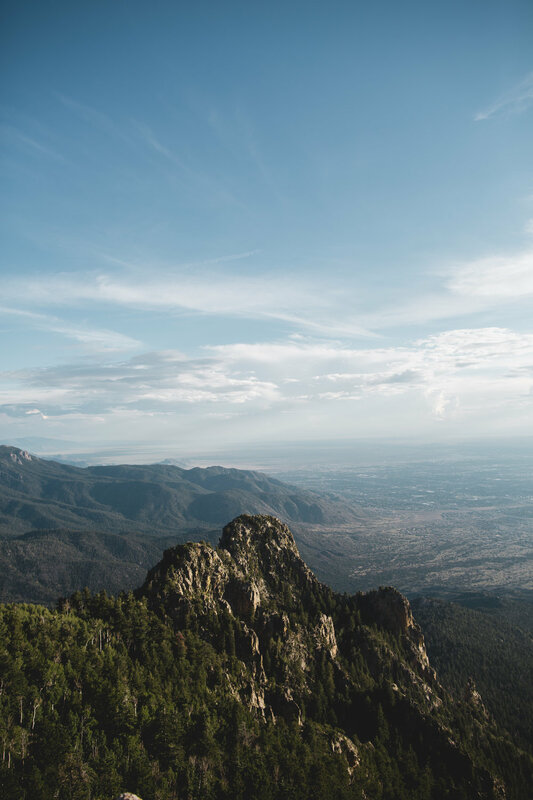 So this weekend, my friends Kelsey, Natassia, Leo and I decided that we would take a road trip and go to Albuquerque, New Mexico for some hiking and exploring. We faced some adversities with my work schedule changing and week before we were supposed to leave, our Airbnb host canceled our booking unexpectedly. So, we scrambled for a couple of days to make sure we could still make this trip after we spent two months planning and being excited. We arrived in Albuquerque around 7pm Mountain Time. Talk about a long drive, right? Feeling exhausted and with a painful headache, I jumped into my bed with shoes on and all. Kelsey and Natassia brought me some pain killers to relieve my horrible headache and that’s really all I remember from that point. I guess I was so tired from the drive, working full time, and barely sleeping the night before that I was just worn out. I woke up the next morning feeling super refreshed and ready to start the day. We got dressed, planned our day and hit the road. About an hour and a half away from Albuquerque is this place called Tent Rocks. 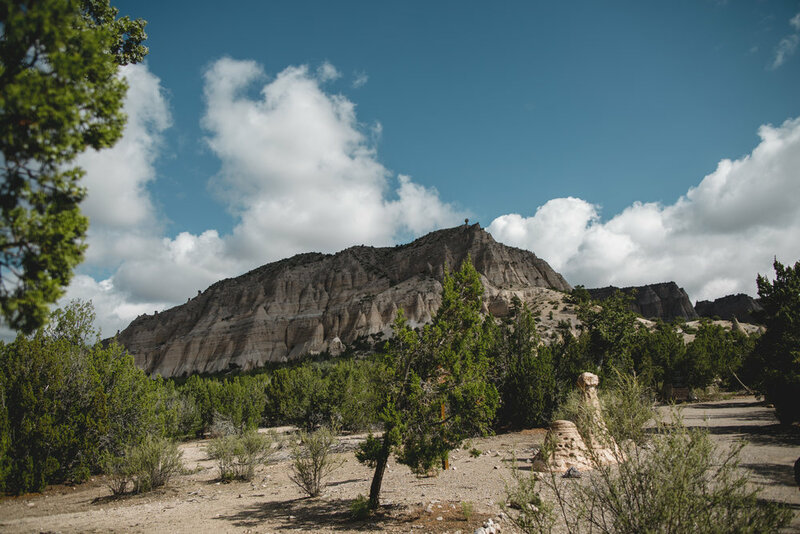 We hiked to the very top of Tent Rocks (around 6,700 feet above sea level) and was taken back by its beauty. You could see the six to seven million-year-old layers of rock all around and it is just crazy to think about how long these mountains have been here. On our way down from the mountain, we came across two runners who passed us to run to the top. By the time we were halfway down the mountain, the two runners sped past us. Now, as a former runner, I was out of breath and struggling in the altitude but these runners ran past us smiling like it was nothing. Like, what?! 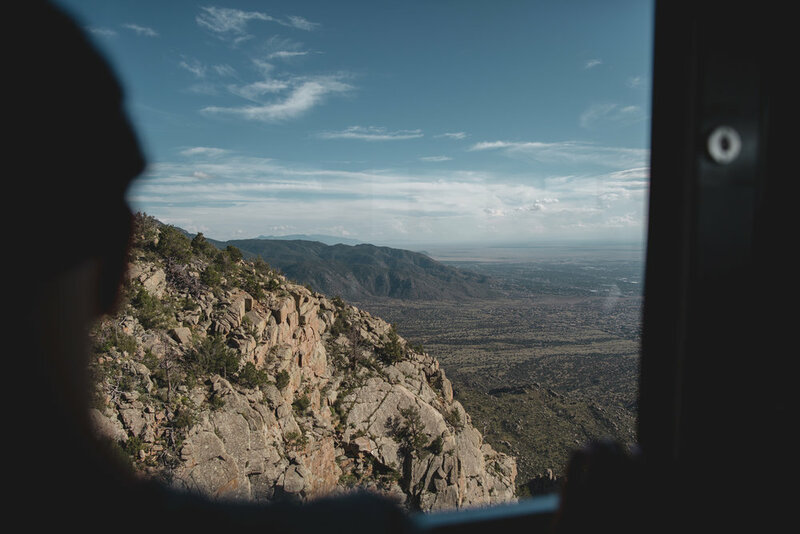 Later that evening, we drove about 30 minutes through Albuquerque and arrived at the Sandia Peak Ski & Tramway. First of all, I had no idea what I was in for. I thought it was going to be a chill tram ride… No. We were suspended thousands of feet in the air overlooking Albuquerque for about 10 minutes. I know I looked pretty cool on the outside but me on the inside was screaming and shouting the entire time. Once we got to the top, you could literally see for miles. We were standing about 10,000 feet above sea level which is the highest I’ve ever been outside of an airplane. The temperature felt like fall time in Virginia. If it feels like that in August, I can only imagine what it feels like come December. I’m sure the temperature is easily in the negatives. Still worth the view I'm sure! Sunday comes and we wake up for one final push to explore Santa Fe which is an hour or so from Albuquerque. We arrive in Santa Fe and it is literally one of the coziest downtowns I have ever been in. I didn’t feel that hustle and bustle of normal downtowns in other cities that I’ve been to. Definitely a place where I can see myself living. Santa Fe had a unique spirit and I felt like a local walking around. We got to experience the shops, the outdoor flea markets, and an awesome outdoors art exhibit. One of the really cool things about walking around Santa Fe was hearing Native American languages being spoken. I’m 23 years old and has never heard a Native American language in person. Beautiful is an understatement. The people I came in contact with were amazing, I felt the tranquility in the air, and I honestly felt refreshed again. They weren’t kidding about New Mexico being the Land of Enchantment because by the time I left, my spirit was overflowing with joy and peace, even when things around me weren’t. After spending a couple of hours in Santa Fe, we loaded up and started our trek back to Dallas. We got into Dallas around 11:30 on Sunday night and of course, no matter the time of day, you will be stopped on a 75mph highway in traffic. Never fails. I do want to give a special shoutout to Kelsey for reaching out to me and inviting me to go on this trip. It was truly something magical and the bond that I made with these three amazing individuals will be lifelong. Let’s plan another trip soon, guys! Cali and the mountains of Colorado are calling my name now!